Most tasks with OME start with this page: the "Home" page. 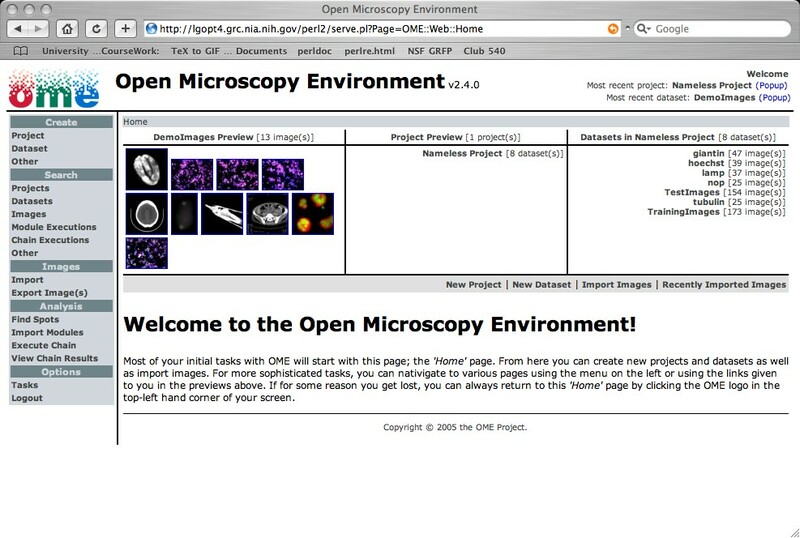 From here you can create new projects and datasets, import images, and view recently imported images. Use the menu on the left to navigate to various specialised pages. 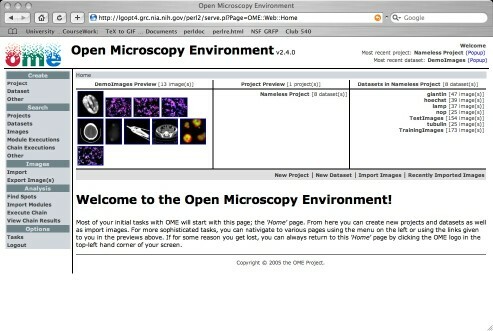 You can always return to this page by clicking the OME logo in the top-left hand corner of your screen.